Genk’s multi-annual strategic plan for 2014-19 is a response to the closure of the Ford car manufacturing company. The main objective of the plan has been to use Genk’s natural and human capital for sustainable value creation. Nature-based solutions are an integral part of the plan, used to create blue-green connections (top-down approach) and promote social inclusion (bottom-up approach). A first mapping exercise by ARTS (an FP7 project funded by the European Commission), revealed about 90 initiatives in Genk working around the topic of transition towards sustainability. Many of these transition initiatives provide multiple benefits. Only a minority of these should be described as nature-based solutions, although many have a direct or indirect link with biodiversity and/or climate change. Both local initiatives and the local government play an instrumental role. Local initiatives are experimenting with alternative logics of value creation and new governance arrangements. They introduce and showcase alternative ways of thinking, doing and organising, and disseminate them to the wider public. Some initiatives even influence the wider system beyond the city boundaries through positive spillover effects, outward replication or reshaping of the governance context. 69 gardens have been created on an old industrial terrain, giving citizens with a broad spectrum of socio-economic profiles the opportunity to grow their own organic food. The gardens are attracting citizens with a broad range of social and ethnic backgrounds. Supporting bee keepers and encouraging them to collaborate with each other. In recent years, Genk has concentrated on developing a number of strategic urban projects to strengthen its urban fabric: the town centre, C-Mine, the THOR Park, etc. Nevertheless, there remains a prevailing sense in Genk that the urban fabric lacks cohesion because of defective relationships between these focal points. 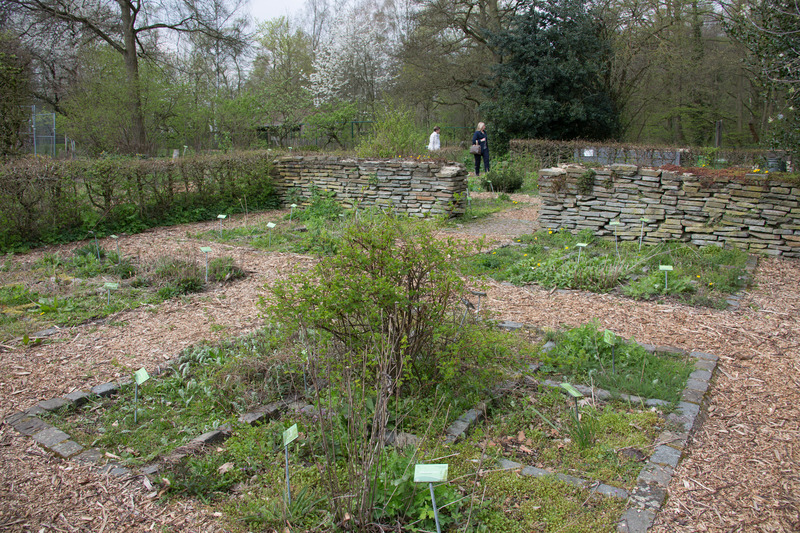 The Stiemerbeek Valley, including Schansbroek (situated at the source area of the Stiemerbeek stream), appears to have the potential, as a strong green-blue artery and a soft recreational network, to combine several nature-based solutions to meet a number of societal challenges including sustainable urbanisation, the restoration of degraded ecosystems, adapting to and mitigating climate change and improving risk management and resilience. In 1971, the Genk city council bought 5 hectares of former agricultural land to enlarge one of their city parks. Local citizens convinced the council to develop the area as a miniature model of the agricultural landscape as it used to be. In 1991, they organised themselves in a not-for-profit non-governmental organisation. The increasing number of visitors forced the organisers to professionalize their activities. Today the NGO works closely together with the city council and the area has become an educational nature and environment centre. Nature-based solutions are the backbone of the educational activities. Replicating: take-up of new ways of Doing-Thinking-Organising (DTO) of one transition initiative by another or by different actors spread these new ways. Coupling, or partnering: pooling and/or complementing resources, competences, and capacities exploit synergies to support and ensure the continuity of new ways of DTO. Upscaling: increasing the number of members, supporters or users of a single transition initiative spreads these new ways of DTO. Instrumentalising: tapping into and capitalising on opportunities afforded by the multi-level governance context of the city-region strengthens new ways of DTO locally. Embedding: aligning old and new ways of DTO integrates them into city-regional governance patterns. Due to the closure of the coal mines in the second part of the 20th century and the disappearance of the car manufacturing industry, Genk has received large subsidies from the Flemish Government through the LRM (Limburgse Reconversie Maatschappij) to initiate a transition in the city’s economy. The European Regional Development Fund also invests in the region. The large green areas in and around the city have prompted Genk to seek to become Belgian’s capital in sustainable development. The city council has opted for a binary strategy: a bottom-up approach where citizens and non-governmental organisations take initiatives (e.g. Heempark, urban farming, bee plan, etc) and a top-down approach for larger investments in infrastructure (e.g. La Biomista, Green4gray). The city council provides financial and non-financial support to smaller projects. It makes use of FP7 (ARTS) and Horizon 2020 (Connecting Nature) funding to provide scientific support to those projects. For the larger infrastructural projects, additional funding is sourced from Interreg or in collaboration with private funders (La Biomista).